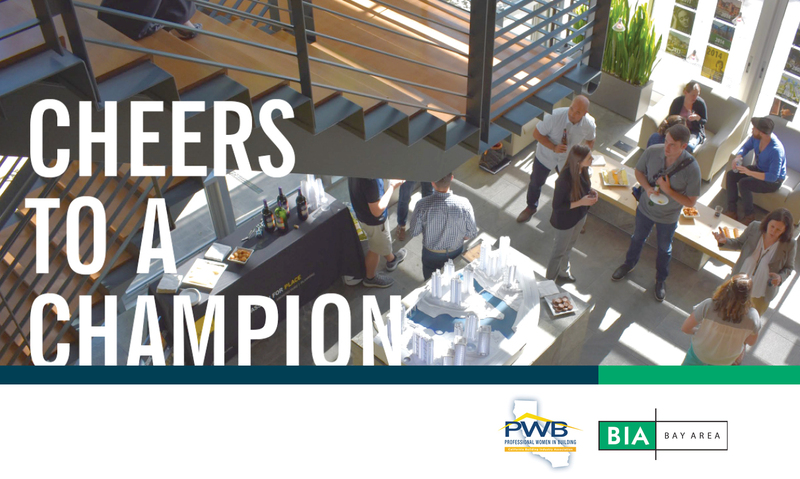 Join us for the Professional Women in Building (PWB) of the BIA Bay Area "Cheers to a Champion", part of a series of networking mixers with friends, and featuring guest men and women from the industry reflecting on their paths to success. Champion Guest Speakers: Kelly Krhoun, President of the Creative Design Group and Sharon Moore, Founder of the Creative Design Group. Contact events@biabayarea.org for code prior to registering.